My next Featured Artist is one of the sweetest people I know: Jennifer Kirk. Sunny, sweet, and enthusiastic, it’s always a pleasure to chat with her online. One day, I happened to come across her website and saw something I had never seen before: beautiful, complex cards, true works of art. I was flabbergasted. People can do that with paper? I knew right away I had to see more and that when given the chance, I must have her on my blog. So here she is! Please, take a few minutes to discover this fabulous lady and her incredible talent for craft and card making. 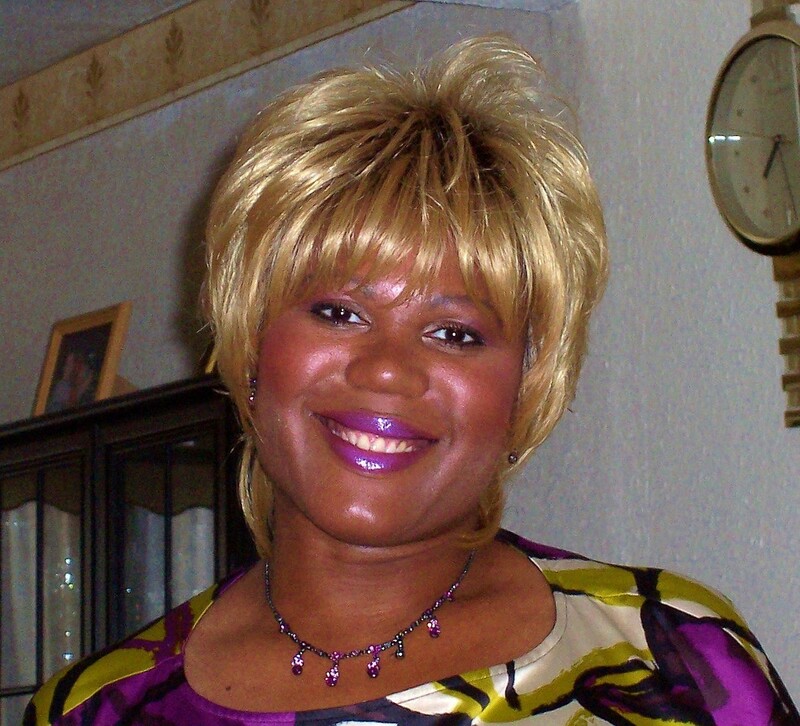 A little bit about me – I was born in London to Caribbean parents and I am now living in Surrey. I am a full-time homemaker and no longer work due to health problems far too boring to go into. Before I became a homemaker, I was a Retail Manager in a large department store and I am a trained make-up artist/nail technician and a corsetière which means I can fit and measure lingerie, my passion lies in paper crafting. 2- How did you get into crafting and making cards? Why are you drawn to it? As I had given up work and did not want to vegetate I needed something to do so a very special friend of mine suggested going to a craft class mainly because I had a love of cards and made basic ones and it would be a way of meeting other like-minded people. 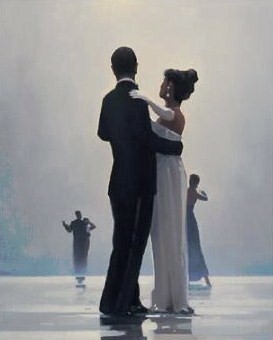 Well after looking up a class I attended my first evening class and very quickly got hooked. Before I knew it I was involved in a craft club and I was going to craft shows and so on. For me creating a handmade project and seeing the look on the recipients’ face gives me a real buzz. Since I started card-making I have made well over 600 cards, not including 550 that I have made on the Craftsuprint Website, I have at least 30 special customers who repeat card orders and keep me busy, one of my customers is a Bishop from Ghana who went to the inaugural ceremony for President Obama and ordered a card to give to the President, I was really chuffed. Another memorable but sad event was a card made for a 90-year-old who died before his birthday and the card is buried with him. I also made a couple of cards for friends to send in for a BBC Children’s program. I also have a quite a few of my cards framed by friends and customers. So I hope you can tell how much pleasure card-making brings to my life. 3- Is crafting/card making a form of art that is growing in popularity? What do you think it has to offer the creative soul? 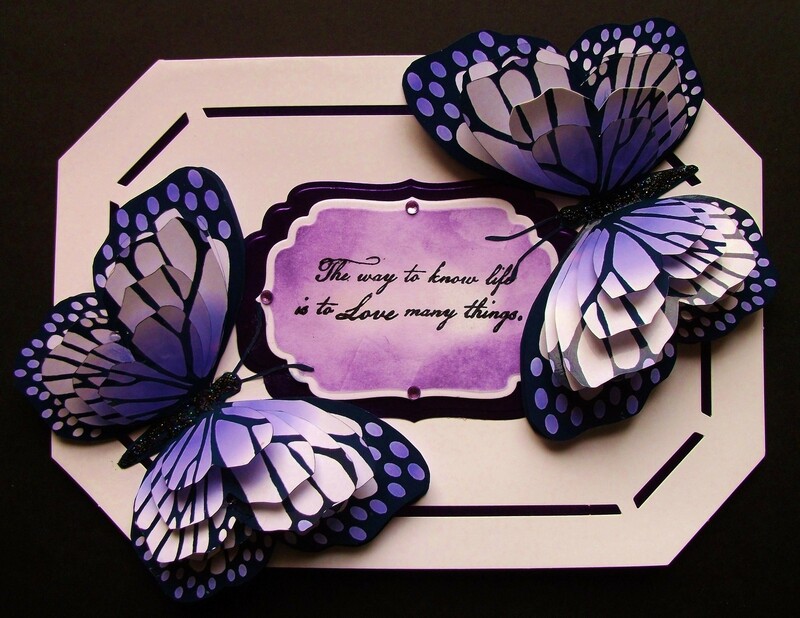 There seems to be a growing trend in this current economic climate to make/create handmade crafts, be it card making. Knitting, jewelry making, pottery, and paintings the list is endless. Craft fairs are starting to pick up again and it is always a joy for me to see what others have created. The great thing it offers is that it is always evolving and changing with new things coming out etc so it is very hard to get bored. 4- Are you interested in other forms of artistic expression? 5- How do you come up with your next card idea? Do you ever get stuck about what to create or how to go about it? On occasions I have a block that is mainly when I am doing a custom order as most of my customers give me a theme then say they will leave it to me. If I have no idea I rack my brains and tend to search around some crafting sites to get some inspiration then sleep on it and all of a sudden an idea pops into my head and off I go. I am a card-maker on the Craftsuprint website, designers create craft sheets and I purchase, create and upload a card to compliment the design. 6- Do you make them alone or do you have a craft circle you sometimes work with? When I am in a craft club we tend to work on one project, but I mostly work alone and crafty friends sometime pop in and we talk about the latest tools, gadgets and trends to drool over. There is always someone you can call for a catch up if you get stuck; the crafting community is brilliant like that. I am working on a custom order for a fun male card to do with Tennis and a humorous card to do with photography. Plus as I have a big birthday coming up I am making thank you cards and Christmas cards. 8- I notice you have a lot of writer friends. J What forms of writing (short stories, poetry, novels, essays, etc.) do you enjoy reading and why? I don’t have a preference re poetry, novels etc but I like dark stories that leave me wanting more. I also enjoy romance and thrillers. Since being on G+ I have had the pleasure to read and enjoy all sorts of genres I would love to be a fly on the wall inside the mind of a writer/poet. Bev Stepney my step-daughter has been writing poetry since 1995 and has made up her own rhymes from a very young age. She submitted her first work to be published in 2005/2006 via United Press and Forward Press has printed her work and so far 22 have been published. Bev finds poetry a great release from the stresses of life and it is something very dear to her and I am very proud of her. 9- What advice would you give to someone who would like to start crafting or card making? The best advice for the newbie crafter is to look up a craft class and asks lots of questions, and there you can get good advice on your basic tools to start you off such as a self-healing craft mat, scissors, craft knife, adhesives and card stock and build from there. There are lots of tutorials online and craft kits to get you started and then you can start adding your own spin on it. 10-How can people get into contact with you? Where can they buy your cards? Thank you Dyane for this interview, I look forward to reading more of your work soon. I have made this card with you in mind. You are simply amazing Jennifer, and this interview shows just how beautiful you are on the inside as well as on the outside! Your cards are stunning! This is a wonderful interview. Jennifer, what touching stories you shared about some of the cards you have made. Your talent is incredible and your cards are spectacular! Thanks Jed for your comment. 🙂 I’m sure Jennifer will love it. I love seeing Jennifer’s amazing smile on Google+ and I am super excited to learn more about her from this post. From this article I see that she has a beautiful, creative soul to go with that beautiful smile. You are so right, Constance. 🙂 Hope you enjoy reading about this fantastic lady. I class myself as a crafting friend of Jennifer and also belong to craftsuprint. I enjoy Jennifer’s work she is innovative and artistic. Her heart and beautiful soul is portrayed in her work. Have enjoyed reading her answers to your questions and she really is a fantastic lady. Thank you so much for your comments. I’m glad you enjoyed reading more about Jennifer. Way to go Jennifer! We are blessed to have your talent out in the world, and your spirit shines every time I see you. Thanks Dyane for having Jennifer to your site! So glad you enjoyed reading about Jennifer. 🙂 I loved hosting her and highlighting her talent. Oh, I am blushing Dyane….lol! Excellent Dyane! Love Jennifer! Cheers! 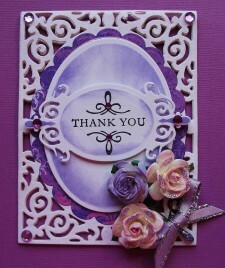 I too am a Registered Crafter for Craftsuprint.com and agree that Jennifer’s cards are really outstanding. Great interview too. Hi, nice to have you with us. 🙂 Thanks so much for your comment. I must have missed this one … What a first interview. what a talented and lovely lady you are Jannifer Kirk 🙂 As always a good interview Dyane. So glad you caught up with Jennifer, Yolanda. 🙂 She did great.